For the most part, Ichigo appears like a normal teenage boy, the one exception to that is his spiky, orange hair, a trait which he has been ridiculed about for years. He is a fairly tall, and lean-built person with peach skin and brown eyes. 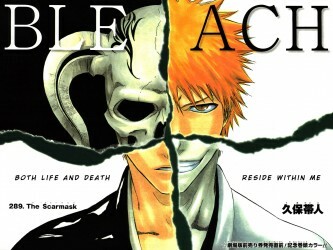 Since becoming a Shinigami, he has become noticeably more muscular, as noted by his sister Karin. 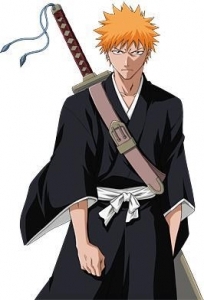 When in his spiritual form, Ichigo wears standard Shinigami attire with the addition of a strap across his chest.